Srinagar, Mar 08 : The Department of Neurosurgery, SKIMS conducted a rare procedure on an 11 yr-old girl hailing from Baramulla. She was admitted on 20th February 2019, in the Department of Neurosurgery and had weakness of right side of body for last few months and speech difficulties. After a series of tests she was diagnosed as a case of Moyamoya disease. 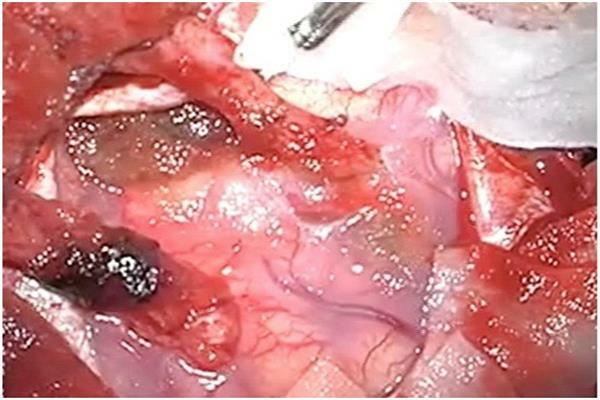 She underwent a complex surgical procedure; encephalo myosynangiosis and encephalo-duroarteriosynangiosis where, the blood vessels near the external ear and temporalis muscles were used for augmenting the blood supply of brain. This procedure took 5-hours and was performed for the first time in the state. The neurosurgical team comprised of Prof. Altaf Ramzan, HOD Neurosurgery, Dr. Nayil Khursheed and Dr. Kaiser Kariem along with neuro-anaesthetists Dr. Zulfikar Ali, Dr Sohail and Dr Zaka. Patient is showing a remarkable recovery of her lost functions. Dr. Nayil Khursheed (Neurosurgeon) giving details said that the moyamoya syndrome is a cerebrovascular disease that predisposes affected patients to stroke in association with progressive stenosis of the intracranial internal carotid arteries which supply the blood to the brain. The characteristic appearance of the collateral vessels on angiography is likened to “something hazy, like a puff of cigarette smoke,” which, in Japanese, is moyamoya. Originally considered to affect predominantly persons of Asian heritage, moyamoya has now been observed throughout the world in people of many ethnic backgrounds, including American and European populations. The incidence peaks in two age groups: children who are approximately 5 years of age and adults in their mid- 40s. There are nearly twice as many female patients as male patients. The common symptoms are weakness of one side of body, headache, seizures, speech disturbances, memory loss and sometimes psychiatric symptoms. Director SKIMS/EOSG, Dr. Omar Javed Shah complimented the surgical team for conducting the excellent and rare procedure. The department has came a long way since its inception in 1982 and we look forward through these stalwarts who has made the department of neurosurgery a centre of excellence by the dint of their hard work and expertise which facilitates patient care, he added.